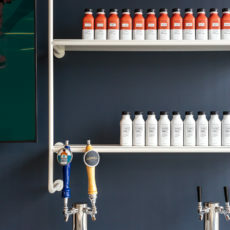 Soylent relocated from a humble start up space to become the first tenant of a new creative office development. 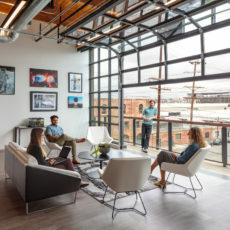 This project sets the tone for other successful startups and creative companies to occupy this newly revamped corner of the arts district in Downtown L.A. Soylent’s overarching goal is to attract and retain active, healthy employees with creative minds, and this revitalization and building of a new creative urban community will help further that mission. 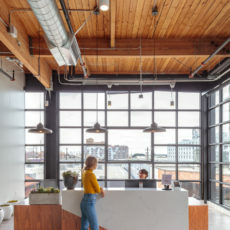 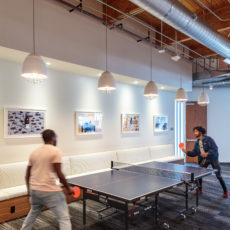 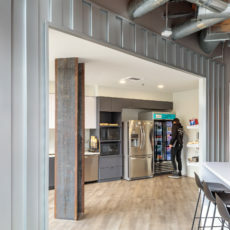 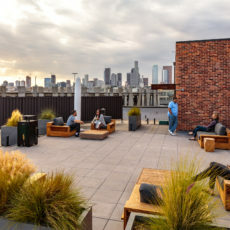 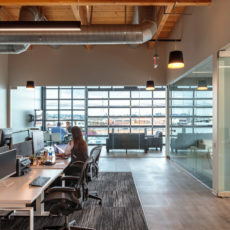 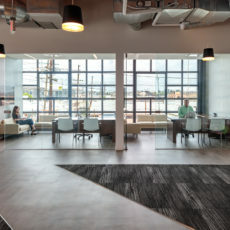 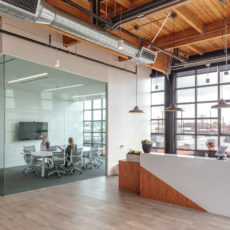 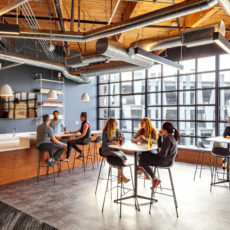 Pivot Studio and industrial designer Ramsey Madsen partnered with design firm Ware Malcomb and the client to create custom height-adjustable workstations and private offices, as well as custom picnic tables and benches for the common spaces. 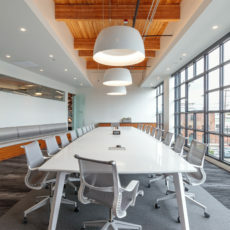 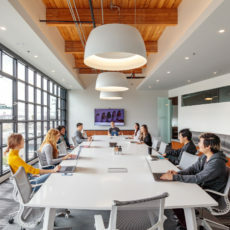 Herman Miller task and conference seating and ancillary furniture from OFS make the space comfortable and welcoming for employees and visitors alike.